The British rock band is getting ready for a Blu-ray release sometime in the new year. 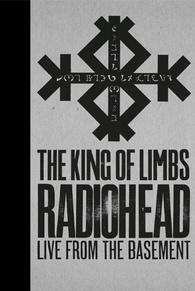 In a recent announcement, the band says 'Radiohead: The King of Limbs from the Basement' will hit Blu-ray likely sometime in January. The session was recorded in Nigel Godrich's basement and features a pair of unreleased songs (The Daily Mail and Staircase). There's still no word on specs, supplements, suggested list price, or even an exact release date yet, but the Blu-ray will include a 32-page hardback photo book and a digital download. You can find the latest specs for 'Radiohead: The King of Limbs from the Basement' linked from our Blu-ray Release Schedule, where it's indexed under PENDING.